In the downloads section you can find release candidate 3 of X:CE version 0.32 . This is an unstable release, intended to test changes before a final 0.32 release. Please join the testing (see below for specific areas which especially need testing). Fixed saving of mods status (order, activation) if a larger number of them is installed. 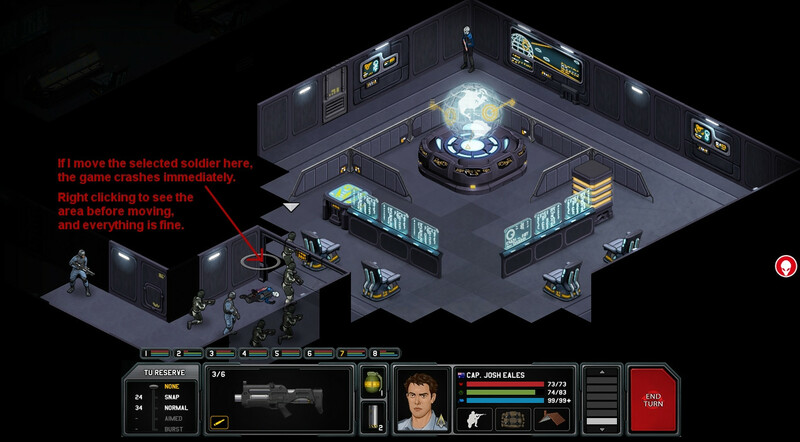 Fixed the game locking up if a soldier is shot by an alien and another soldier reaction fires at the alien. Fix soldiers/aliens dying from fire to die properly. Fixed shooting at target behind 100% to still scatter sometimes. Fixed movement such as vaulting or flying sometimes moving into an object. Merged fixes from recent vanilla 1.5x releases. Reverted a teleport fix from 1.5x that was causing soldiers to stop between tiles. Reapers and zombies have some chemical armour to reduce effectiveness of defensive stun gas tactics. Fixed alien armour to always apply correctly. Armour of soldiers killed by overdamage is no longer recovered. Fixed showing of where a leaning shot is blocked. Line of sight distance now ignores height levels (previously was calculated as 3D causing shorter range towards the ground level). In research view should also number of scientists working on a project in other bases. Show original rank in end combat report for promoted soldiers. Previous/next buttons in inventory view in ground combat. Commander rank is now higher than Colonel (as it was for example in the original game). This is a purely visual change that swaps the texts shown in the UI, internally nothing changes. Prevent disappearing of corpses of characters killed while they were not visible by the player. Reapers and zombies should be created correctly even when they are not visible by the player. Do not allow landing down into an object. Make air combat buttons speed up more (up to 5 times), and timeout at the end of air combat is also affected by speed. Fix dropping of weapons when a soldier has items in both hands. Fix possible crash when ending or reloading ground combat with fire/smoke tiles. Provide an animation while a building collapses. Set lua's gc_time to "dawndusk" if it's dawn/dusk day time. Faster alien turns (faster pathfinding, faster decisions). Game built with more optimizations, making it generally run somewhat faster. Limited FPS during hidden movement (maxFpsDuringHiddenMovement in gameconfig.xml) for faster alien turns. Support for ground combat ambience sounds. Note that no sounds are actually included and need to be provided by a mod (see assets/sounds_gc.xml for how to add them). Farm's forest maps have been moved to the forest tileset. Since they share resources with the farm tileset, searching for forest resources automatically falls back to the farm tileset if a resource is not found. The show roof mode is now enabled by default. Show an explicit notification when a soldier has fallen or is stunned in ground combat (suggestions on wording of the killed notification are welcome, given that "killed" soldiers may be actually revived at the end of the mission). Show an alert when there are intruders in the Xenonaut base command center. Teleporting using a teleport pod no longer costs 0 TU (TeleportUseAP in config.xml). Reworked Wraiths deciding where and when to teleport. They should now again be dangerous rather than suicidal. Note that this does not change anything about teleporting ending their actions for the current turn. Civilians and local forces now have different ranks (and so can be configured separately in aiprops.xml). Internal game files are no longer created in assets/mods/internal. Avoid aliens seemingly teleporting during their turn (caused by almost instant animation). Avoid unseen aliens briefly flashing after loading a ground combat save. Show hidden movement screen immediately after alien turn starts. Fixed path finding to always find the fastest way to a target location. Allow Reapers to attack through open door. Aliens at the end of their turn should properly turn towards the direction from which they expect Xenonauts to attack. Fleeing soldiers should be less likely to run towards even more dangerous locations. Fleeing soldiers should not stop when they notice a new alien. Fixed a problem that made fleeing soldiers actually stay in place in some cases. Avoid crash caused by starting Xenonaut base defence when there are only ordered soldiers but none are actually present. Fires should no longer start inside UFOs just because the UFO has landed/crashed on a hayfield. Fixed a problem sometimes preventing running up/down stairs. Anything related to alien turns and alien AI. Xenonauts 1.5x releases have been based on an older X:CE version than 0.32 and thus do not contain all these fixes. Also some X:CE changes have intentionally not been incorporated. See Xenonauts 1.5x release announcements for details. X:CE 0.32 should contain all relevant Xenonauts 1.5x fixes and new features. Hello Ilunak! I'm testing this release and I've just found out that the game freezes every time a soldier is killed. EDIT: I also had visible low frame rate alien movement. Sebillian moved in my LOS normally (60fps), I had a reaction fire and after that, the sebillian continued its movement really laggy (like 1fps). After movement, fps returned to normal. EDIT2: XenoneX, my game is not freezing when units die. Are you sure you've installed it correctly? I think so. I've installed xce, xcesettings and then xcebalance as I did with the previous version. All these mods seem to be working when I check the modding tools and the launcher shows the proper version number (0.32 RC1). Does anyone else have the same problem? "<Soldier> has been critically wounded and entered a catatonic state." "<Soldier> has been incapacitated and is now unconscious." Soldier "Killed" dialog. Just say, "So and so is DOWN!" That doesn't specify dead or alive, but it's pretty accurate and to the point. Until someone actually checked out a downed soldier you really wouldn't know if they were dead or just badly hurt. A different message would be appropriate if the soldier was blown into goo. Like "So and so has been DISINTERGRATED!" Or "GONE!" ...is reduced to bloody mess. 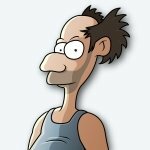 Please see http://www.goldhawkinteractive.com/forums/showthread.php/12193-How-to-Write-(Good)-Bug-Reports . The save crashes here, presumably of some mod missing. This occurred again on a fresh install after deleting every remaining xenonauts file. [X:CE 0.32 RC2] There is no mod that could possibly be missing (if this is what you are referring to), as I'm using no other mods but the ones included in XCE, and I've tried deactivating all mods but the required XCE / balance / settings mods. 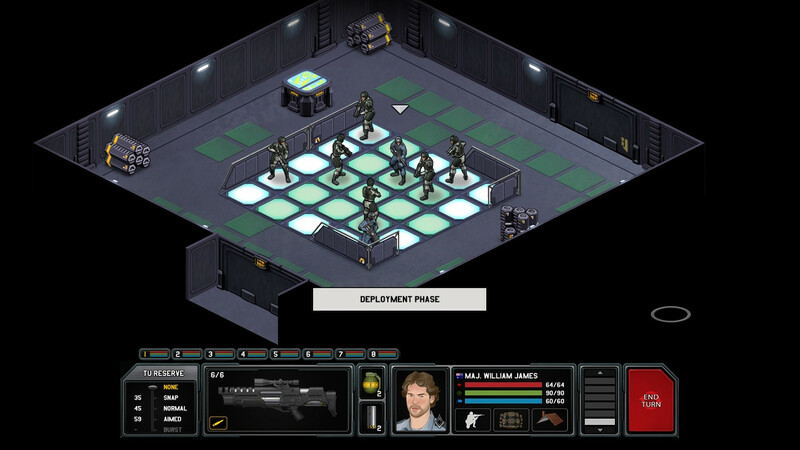 Simply load the save, and have any soldier shoot another soldier, or have any soldier be killed by an alien. (Screenshot not needed as all it would show is a dead soldier and not really give you any needed info, as you cannot tell the game is frozen from a screenshot.) Hopefully this includes all relevant info, and you can now proceed to stomp the problem out. I've had few crashes when a xenonaut unit moves in a previously unseen tile. Any info on next release? Or we are just waiting for 1.5 to be stable so that the changes would be merged into X:CE new version? Well, sort of. I haven't had the time for X:CE lately, but hopefully this weekend I'll get some time to look at 0.32 (at PMs, and whatnot). Sorry, Real Life. He is alive!!!!!... pfff RL.. our biggest problem about our life is its real part.. we need to get rid of somehow for eternal peace.. Quoting myself from above: I just had another one of these and lost almost an hour of playtime. I know you are busy with your RL stuff at the moment, but I sure hope you can find some coding time in the near future to at least to fix this. Thanks for putting in the time to do this mod, it's addressed a lot of things I found lacking or wonky in the vanilla game. I'm experiencing the freeze after a xenonaut's death as well. A little salt in the wound when they get to take another turn when you reload the game, i've rolled back to the stable for now. Looking forward to more updates though! The alien base movement crash seems to be related to doorways. I just had a third and fourth similar crash and it always seems to happen when moving diagonally through door. ...actually no, I just had a similar crash when moving into a black, uncovered tile directly after teleporting to a new room. The crash can always be avoided by right clicking and revealing unknown tiles before moving. Sorry from spamming, but I just realised it's probably tied to revealing an alien at the same moment you move to an unrevealed, black tile. The game won't crash in similar situations if there are no aliens. One more: if there's a prop adjacent to an alien base railing, unit can vault over the railing into the prop. I've got a problem, my game kinda freezes during alien activity in first crashsite engage.. Music is still playing, can still move cursor, even water animations are still there but it's freezed and the alien turn wont end. Unit animations are freezed too, the damage numbers done to my units are freezed above units head too.